Rumors are rife that the company would launch a wearable device with a flexible screen in association with China Unicom. While all the eyes are set on the upcoming Samsung Galaxy foldable smartphone, Nubia is also set to launch its flexible device at MWC 2019. The company has confirmed its existence at MWC via its official Weibo account. Nubia has posted an invite for its MWC 2019 event with the tagline ‘Flex Your Life.’ Rumors are rife that the company would launch a wearable device with a flexible screen in association with China Unicom. Additionally, at IFA 2018 in Berlin, Nubia teased its futuristic Nubia Alpha as the world’s most advanced wearable smartphone, coupled with a curved OLED panel. Furthermore, Ni Fei, General Manager, Nubia smartphones, recently asserted that Nubia will unveil its new wearable device with a flexible display. “Recently, Xiaomi and Rouyu have been arguing about flexible screens. I also heard that Huawei will display flexible screen phones at this year’s MWC. Regarding the flexible screen, Nubia has different thinking. We exhibited a flexible prototype named ‘Nubia-α’ at IFA in August, and it was crowned by the media,” Ni Fei was noted as commenting on a Chinese social media platform. The CEO further added that the upcoming “device will be more practical for day-to-day usage, and may start a new trend for wearables.” All these suggest that Nubia will launch a flexible wearable device at MWC 2019. It will run the Android operating system and support monitoring, call answering, music playback, among others. It will reportedly come with a charging interface. Besides, Royole is the first company to offer a smartphone with flexible display technology. The device is labeled as Flex Pai. Later, Samsung showed a prototype of its much-hyped foldable smartphone at its annual developer conference and the same is expected to debut on February 20. The South Korean giant will launch its Galaxy S10 lineup, including Galaxy S10 E, Galaxy S10, Galaxy S10+, Galaxy F and a 5G-enabled device, in less than 10 days. 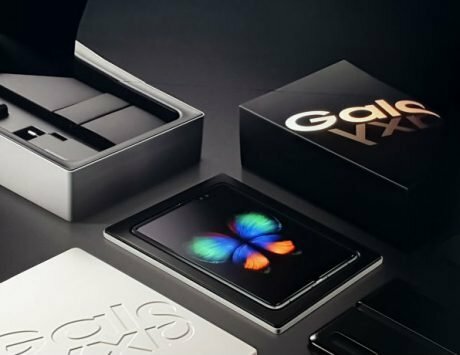 Other brands like Xiaomi, LG, Oppo, and Huawei are also expected to flaunt their own foldable devices this year.